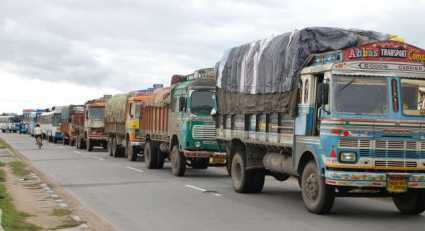 Transporters said some cargo enquiries against tight availability of trucks mainly pushed up select destination freight rates. Freight rates from Delhi to Jaipur, Chandigarh and Kanpur were enquired higher by INR 500 each to INR 21,000, INR 22,000 and INR 23,000, respectively. Following are today’s freights per 10-tonne load: Jaipur 21,000 Hyderabad 60,000 Chandigarh 22,000 Vijayawada 62,500 Ludhiana 23,500 Bangalore 66,500 Kanpur 23,000Chennai 68,000 Indore 24,500 Mysore 71,500 Ahmedabad25,000 Pondicherry 70,000 Baroda 26,000 Coimbatore 73,000 Patna 29,000 Kochi 77,000 Surat 29,000 Thiruvananthapuram 80,000 Mumbai 30,000 Goa 57,000Pune 31,000 Gwalior 16,500 Kolkata 33,000 Guwahati 55,000.